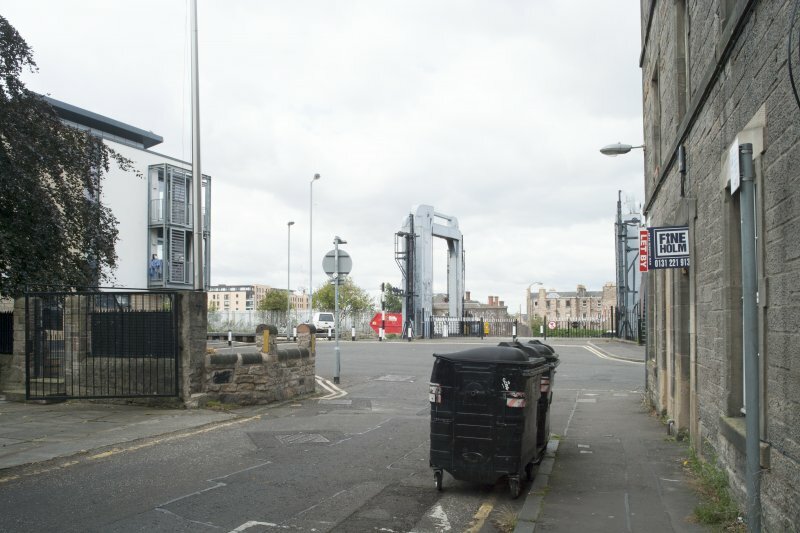 General view of Leamington Lifting Bridge on Leamington Wharf, Union Canal, Edinburgh, taken from the south-east. 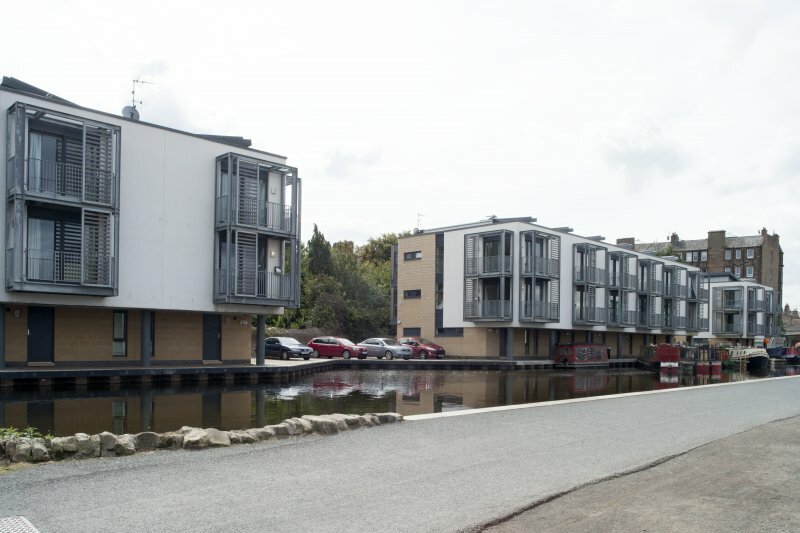 General view of new development on the Leamington Wharf, Union Canal, Edinburgh, taken from the north-east. 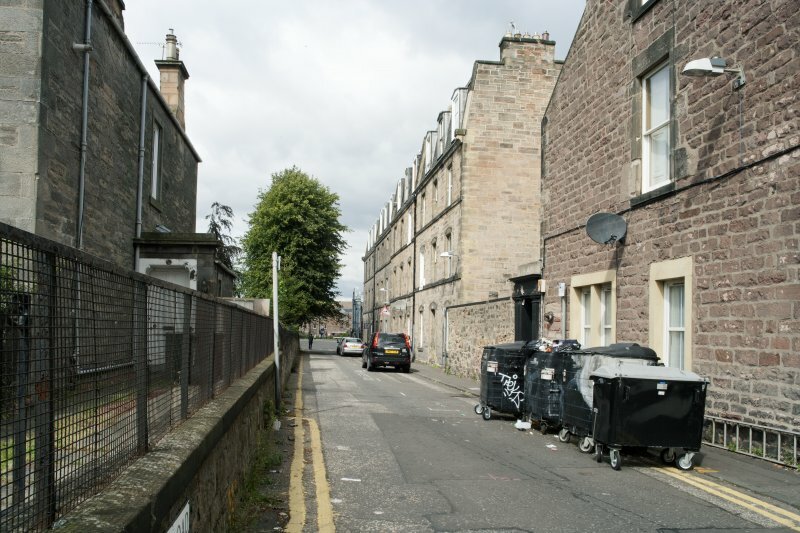 General view of Leamington Terrace, looking towards Leamington Wharf, Union Canal, Edinburgh, taken from the south. 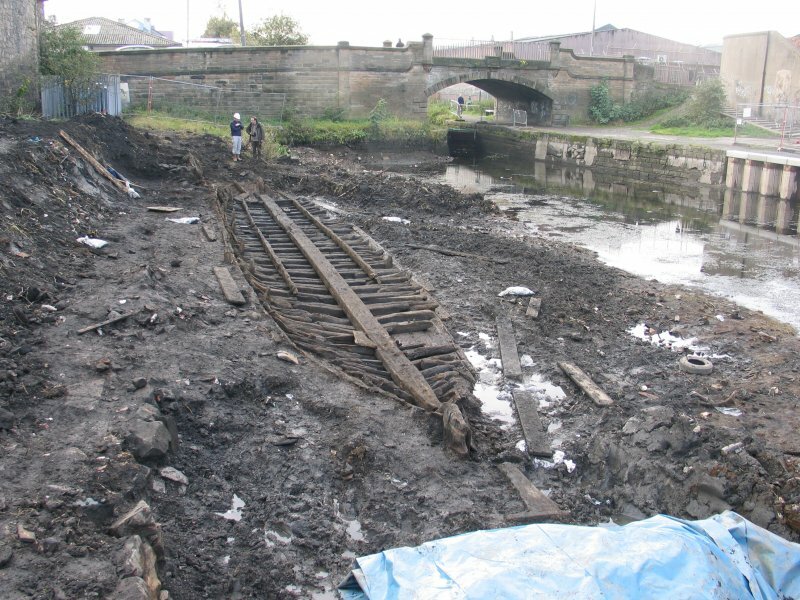 A programme of desk-based assessment, survey, evaluation and excavation was undertaken between February and November 2004 on the S bank of the Union Canal, between the Leamington Lift Bridge and Viewforth Bridge, in advance of a housing development. 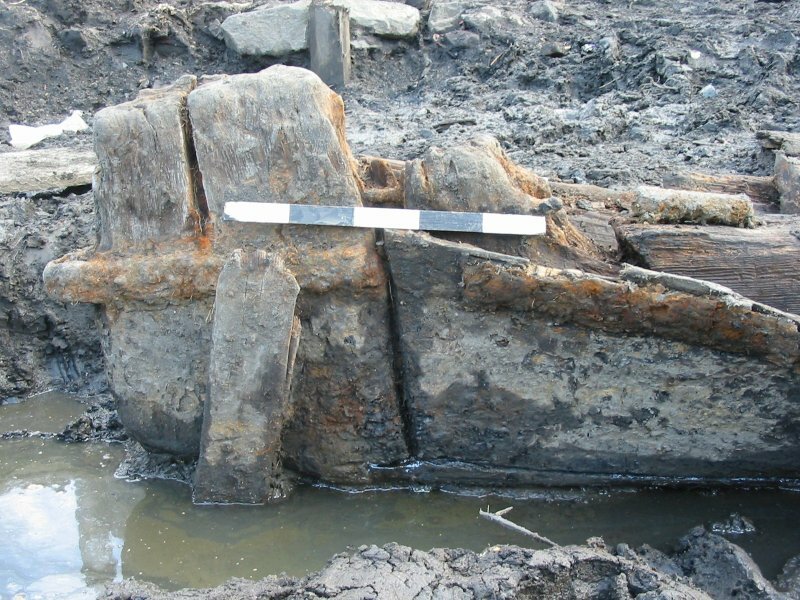 During the evaluation, a stone quay wall and a timber structure, which turned out to be the stern of a 21m long wooden barge, were uncovered within an area which is to become a mooring for canal boats at the W end of the site. 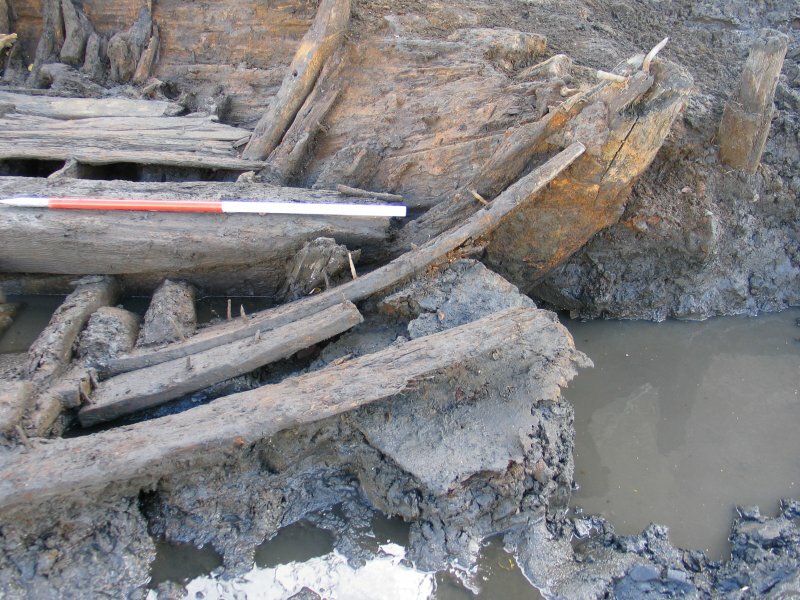 This area was later excavated, during which time the barge was fully uncovered, recorded and moved for further analysis. The stone quay wall and a timber quay wall, which the barge had been incorporated into, were also uncovered. The early to mid-19th-century barge was no doubt used for carrying coal and lime into central Edinburgh, but may also have been used to carry passenger traffic during its life. 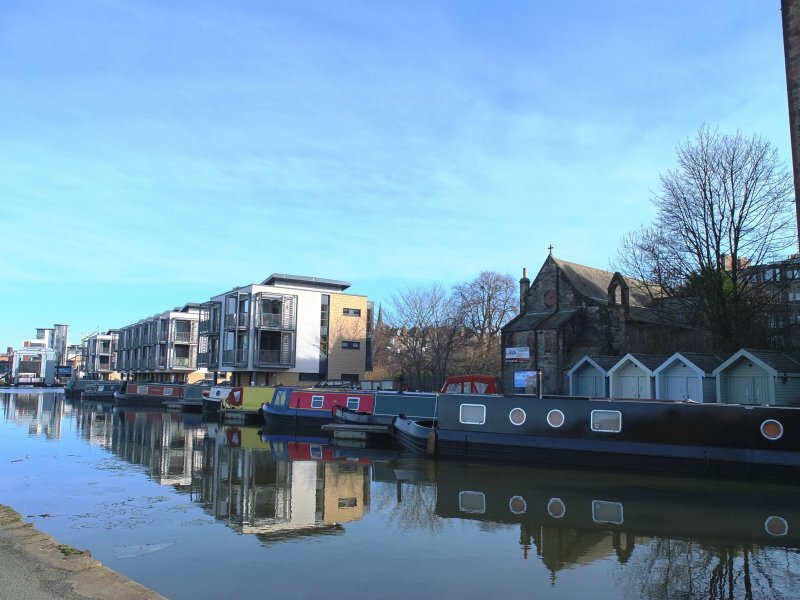 The barge appears to have gone out of use at the end of the 19th or early 20th century, at which point it was pulled up against the canal bank and built over. 'Leamington Wharf' on the south bank of what was referred to as the Outer or Old Basin is unnamed on the Ordnance Survey 1st edition 25-inch map (Edinburgh, 1851, sheet 38). Two 'Platforms' and two roofed structures are depicted. By 1876, there are now four roofed buildings (possible for boats or storage) depicted at NT 24347 72605, NT 26381 72627, NT 24408 72646 and NT 24441 72668 (Edinburgh, 1876, sheet 38). The tow path was on the north bank. The former Leamington Wharf has been redeveloped. 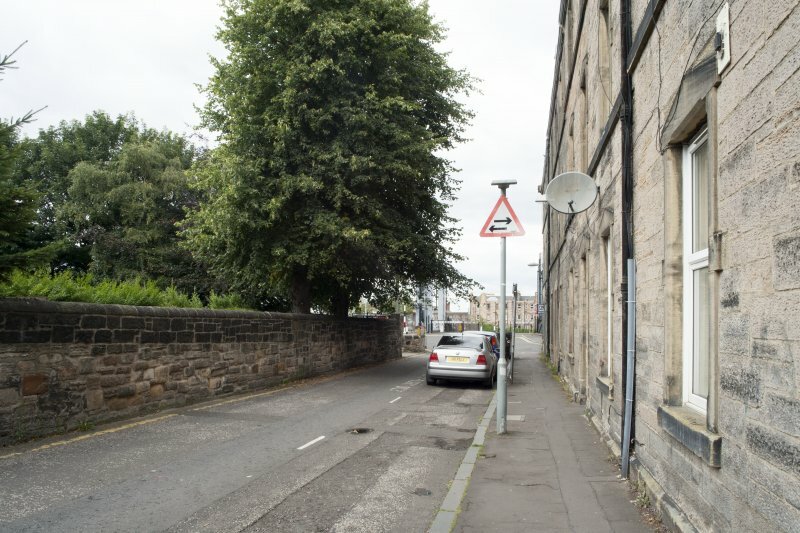 Information from RCAHMS (MMD), 27 June 2014.